Interesting Facts: Zubat is a small, blue bat-like Pokémon. It has two long, skinny legs. 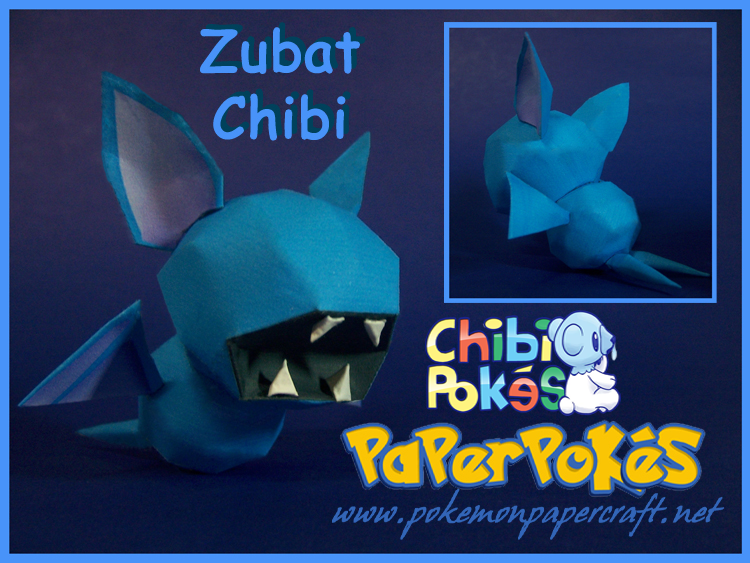 Zubat's face lacks any eyes and a nose. The insides of Zubat's ears and undersides of its wings are purple. Zubat's wings are supported by elongated 'fingers', and four teeth can be discerned from inside its mouth, two on the lower jaw and two on the upper. NOTES: Follow the numbers, being a bit careful with the way the wings and ears go together. Close at the bottom, and then attach the feet. Whoa. 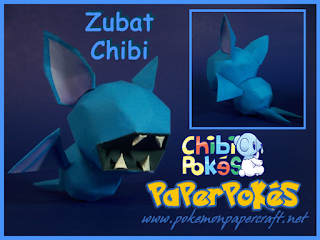 What kind of paper was used for the Chibi Zubat? It looks flawless! I use 65 lb on my papercrafts and it sometimes looks a bit too thick.